G-STAR, Asia’s leading games expo and conference, is this week! 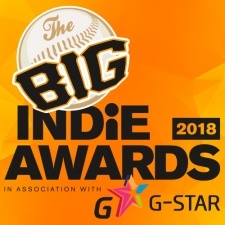 Which in turn means that we’re just days away from revealing the winners of our second Big Indie Awards direct from the show floor in Korea. You can find out more about some of the entrants in this feature. But there's more. Thanks to the support of G-STAR, Jagex Partners and Persona.ly we've been able to brilliantly boost our presence in Busan. Step forward our PG Party, which kicks off in style the night after the awards ceremony itself, while two Big Indie Pitch competitions - for mobile and PC - two days later gorgeously marks the start of another 12 months of competition.